Seasoned and successful people says that work could be stressful if we treat our work as work. Those who achieve highest fulfilment are those who treat their work as part of their daily lives. They get things done at work while thriving with their personal needs and responsibilities. In this era, work life balance is no longer working. Most productive organizations would now refer to this as “Work Life Integration.” They encourage their employees strike the “win-win-win” mindset. It’s about contributing to the organization, other people, and self all at the same time. What we do in the office is now part of our human system. There is time to work, there is time to rest. There is time to sacrifice, there is time to slow down. There is time to give, there is time to reap. To attain work life integration, we need to work on our professional development and personal leadership. This program helps you achieve that position, where you will be able to integrate your life and work without compromising either of the two. It is process and never happen over night. This program will give you practical steps to integrate your work to life. 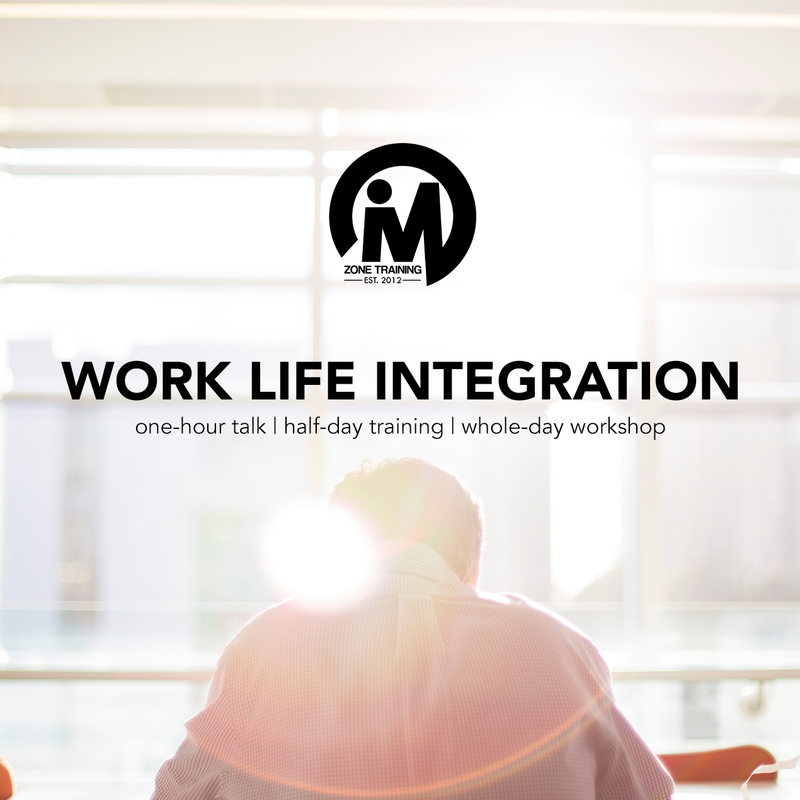 Mzone Training can provide a one-hour, half-day, and whole day training on Work-Life Integration. Contact us now to request a proposal. Email mzonetrainingph@gmail.com or fill out the online form below. FOR QUICK INFORMATION AND QUOTATION, YOU MAY FILL OUT THIS FORM.